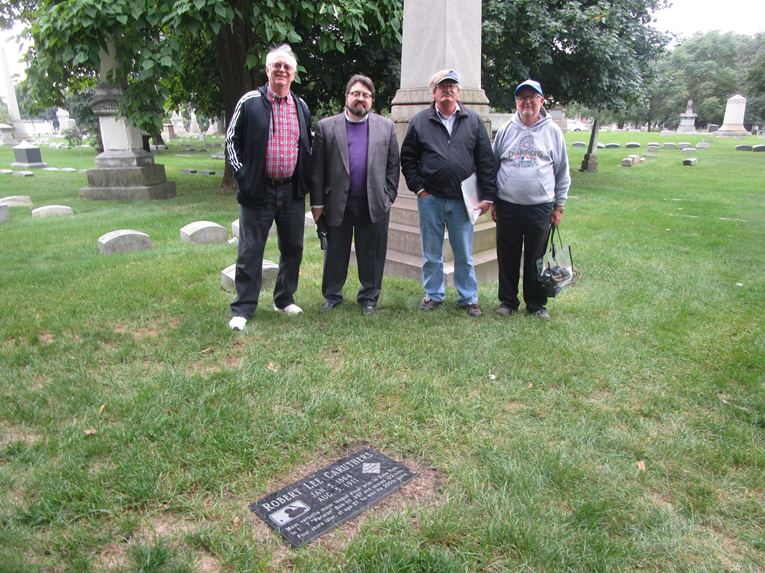 On an overcast autumn day, five dedicated researchers and a curious coyote dropped by Section N of Chicago’s historic Graceland Cemetery to dedicate the grave marker of 19th-century baseball legend Bob Caruthers on September 30, 2018, in the latest installation of SABR's 19th Century Baseball Grave Marker Project. Caruthers was among the greatest all-around players of his day, starring for the St. Louis Browns and Brooklyn Bridgegrooms of the American Association. 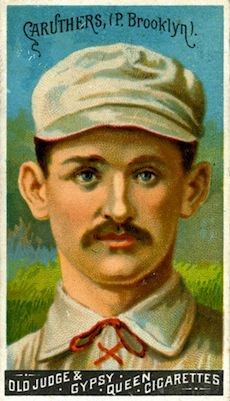 He was an outstanding pitcher with a deceptive right-handed delivery and a hard-hitting outfielder who had a solid reputation as a defensive player and a baserunner. Attendees reviewed highlights of his career, discussed his acquisition of the “Parisian Bob" nickname, his links to the neighborhood around Graceland via his association with an amateur baseball team in Lake View, and how he came to be buried in Graceland. 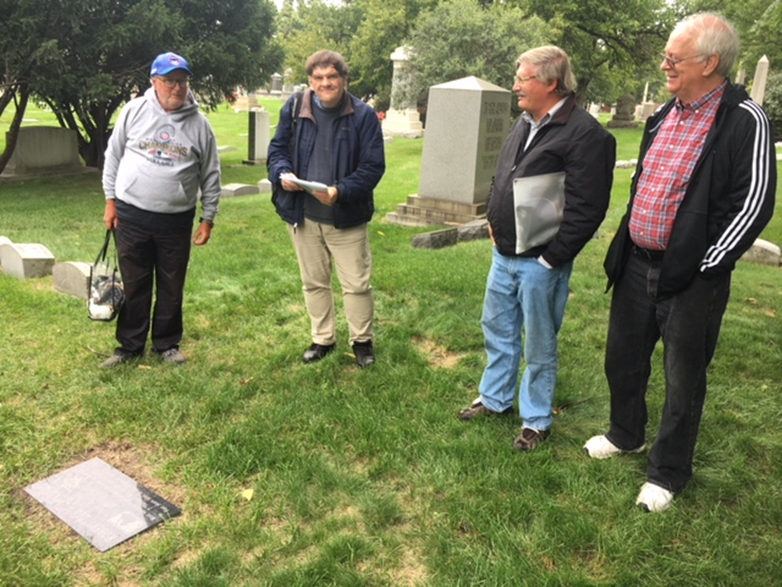 After snapping some photographs, SABR member Mike Bojanowski led attendees on an extended tour of Graceland’s baseball-related sites including the unmarked grave of 19th-century star “Silver Bill” Phillips, Cubs immortal Ernie Banks, and National League founder William A. Hulbert. 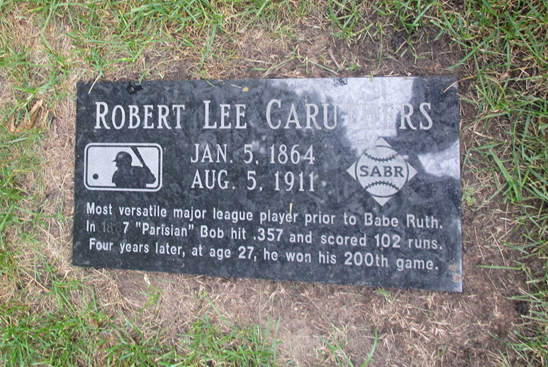 Caruther's new grave monument was funded through donations by individual SABR members and a generous contribution by Major League Baseball with SABR's 19th Century Baseball Grave Marker Project. The 19th Century Baseball Grave Marker Project Committee is chaired by Ralph Carhart and is supported by the efforts of SABR’s Nineteenth Century Committee. Dedication of individual grave markers are also facilitated by members of SABR Regional Chapters. For the Caruthers grave marker dedication, special thanks go to the Emil Rothe Chicago Chapter, especially Richard Smiley, Michael Bojanowski, and Seth Moland-Kovash. This page was last updated October 1, 2018 at 5:33 pm MST.